Western Africa, Liberia, Ivory Coast, Sierra Leone. 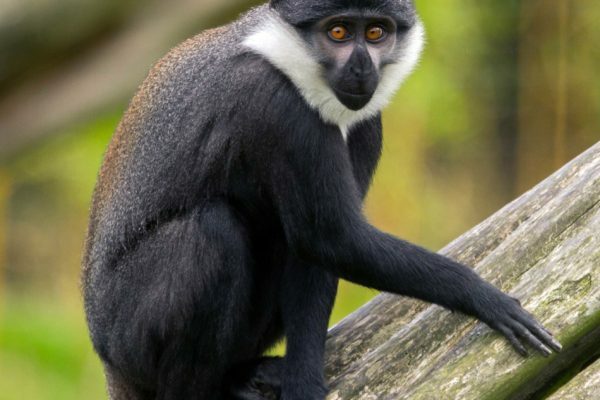 Endangered and listed on Appendix II of CITES. southern Sudan and southern Ethiopia, south along eastern Africa, as far as Zambia, Mozambique and Malawi, before spreading into most southern African countries. 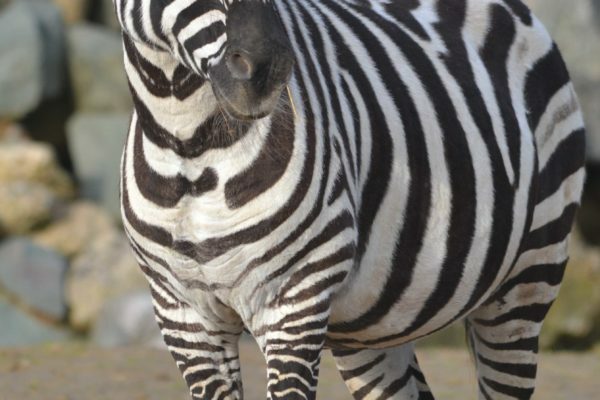 Each zebra has a unique stripe pattern that can be recognised by other family members! 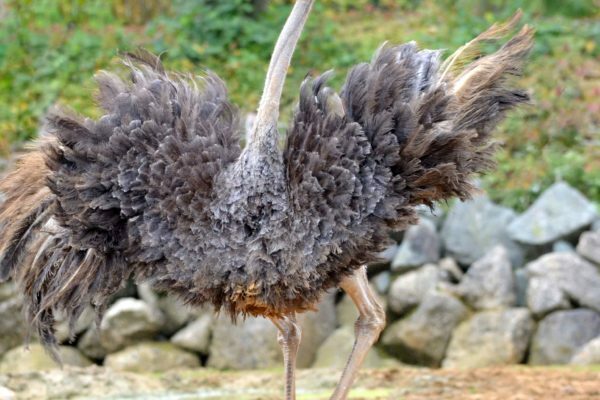 The ostrich is the only bird to have just 2 toes, one of which has a formidable 10 cm long claw! 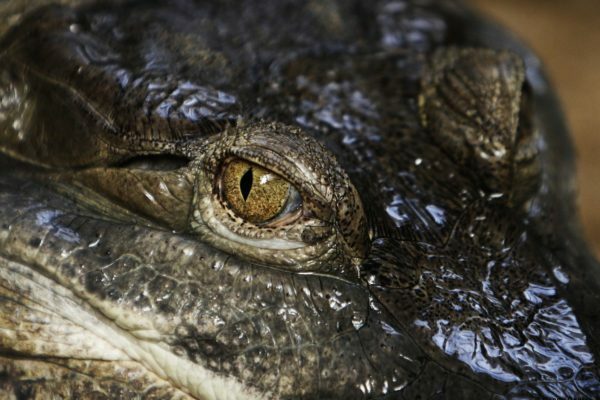 It is the only crocodilian species known for being able to climb as high as several meters into the limbs of trees fallen along streams. They are quite unusual in that they have lost their thumbs and generally have only four fingers on their hands. Some individuals will have a partial thumb that is not used. 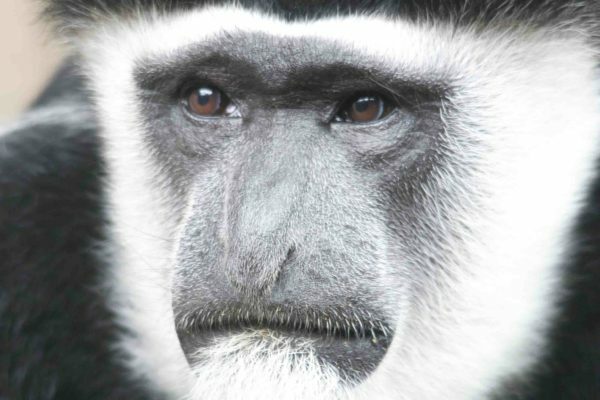 L'hoest monkeys have a white ruff that frames the face with distinctive deep set orange eyes. Their bodies are black and have long legs which are grizzled with grey. They have a chestnut coloured “saddle” at the base of their back. Cameron Sheep have short, fine hair which allows them to keep cool in the African heat. 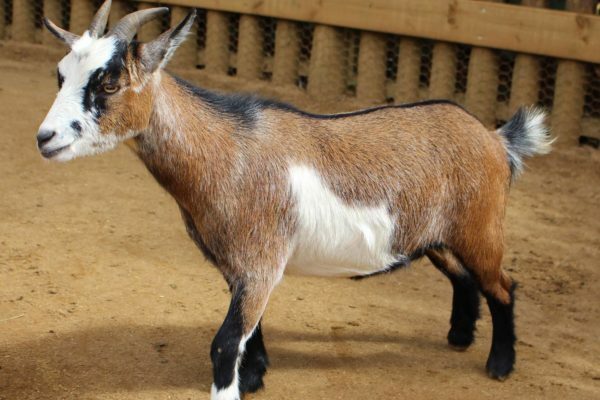 Pygmy goats are great climbers, browsing on leaves and young branches in the trees. 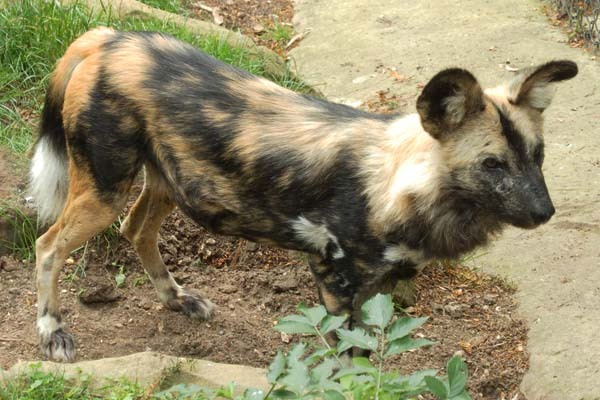 Hunting dogs, also known as painted dogs each have their own unique coat pattern, with big round ears. Unlike other dogs hunting dogs only have only four toes per foot. Hunting dogs are threatened by shrinking space to roam in their African home. They are also quite susceptible to diseases spread by domestic animals. 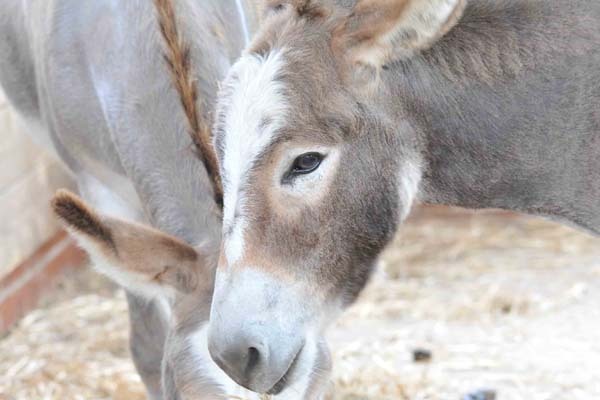 Here at Colchester Zoo we have a number of horses and donkeys that rotate from their stable to their field. All of our horses are rescues from the World Horse Welfare who rehome horses with us who enjoy human interaction. There are more than 300 breeds of horse developed for many different uses. A male donkey is called a Jack, and a female is called a Jenny or Jennet. A fully grown fennec fox only weighs around 1kg and they are the smallest of all the foxes. 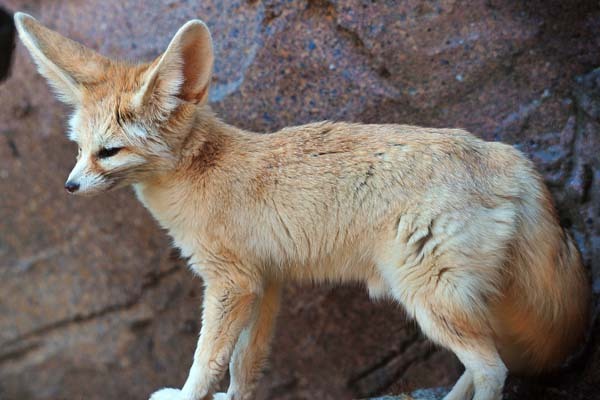 The fennec fox's unusually large ears, which can be up to 15cm long, are an adaptation to help them lose heat in the hot desert and to help locate their prey. 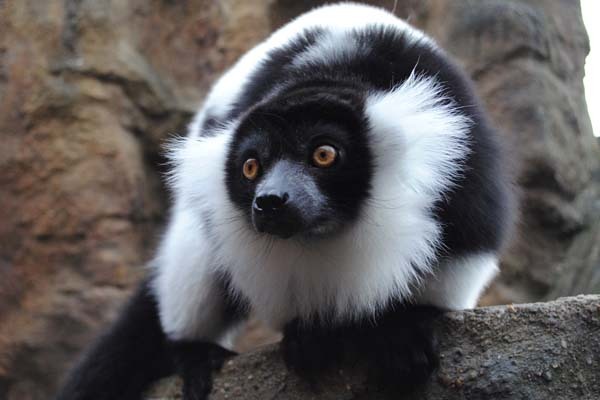 In groups, black and white ruffed lemurs produce a chorus of deep, barking, alarm calls, and a wailing howl when defending their territories. 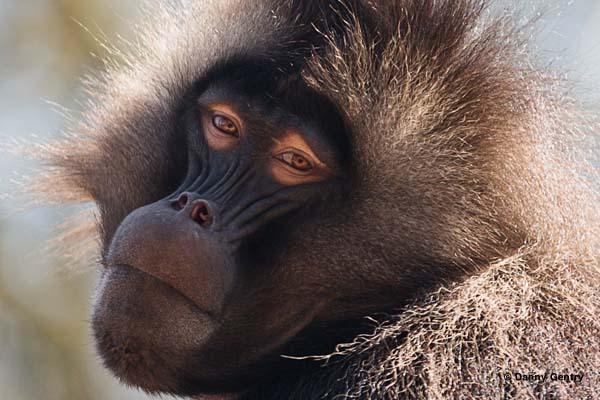 The gelada baboons are the last surviving species of grass-grazing primates, spending ,most of their time on the ground and rarely climbing trees. 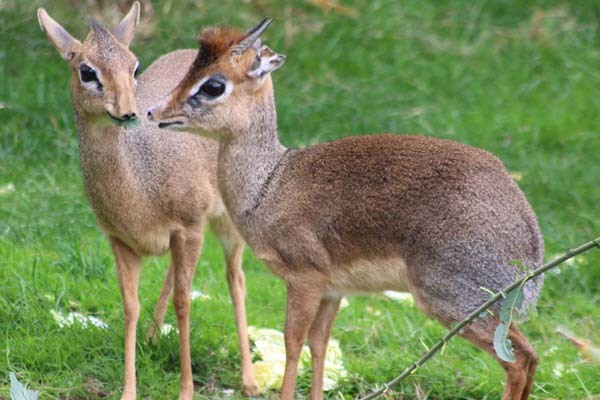 The dik-dik is one of the smallest members of the antelope family measuring a maximum of 45cm high. 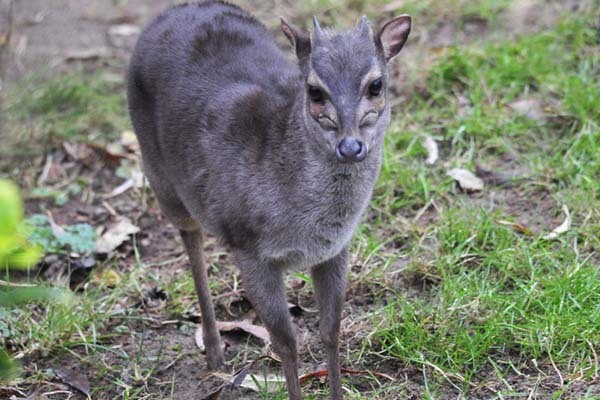 The blue duiker gets its name from the bluish hairs on its back. Duiker is a Dutch Afrikaans word, meaning to dive, referring to the duiker’s tendency to dive into dense cover when startled. 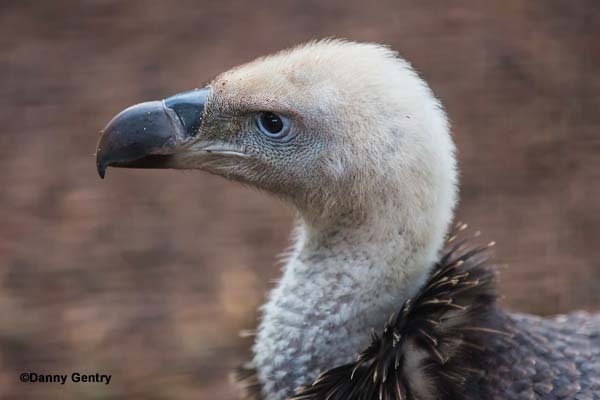 Vultures have bald heads to stop them getting dirty whilst eating! Griffons can consume more than 3 pounds of meat in 4 to 5 minutes. 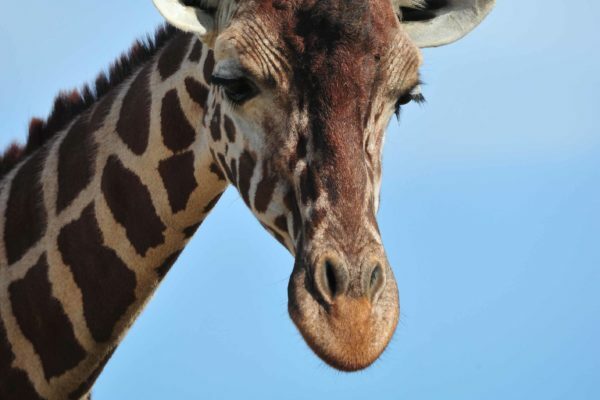 With their 45-centimetre prehensile, black tongue the giraffe can eat up to 134 kilograms of leaves a day! We have a group of pure-bred reticulated giraffes, all females. Don't miss the daily feed times where you can get the unique opportunity to hand feed the giraffes yourself! 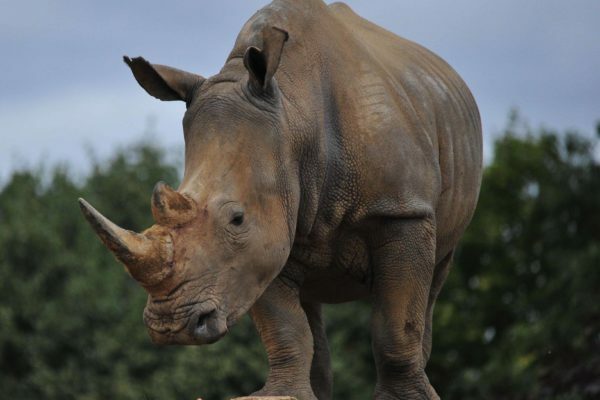 Colchester Zoo's charity, Action for the Wild supports rhino conservation in South Africa raising funds for the equipment need to protect both white and black rhinos. Our group of aardvarks are one of the most successful breeding group of aardvarks in the UK with 9 offspring born since 2007! 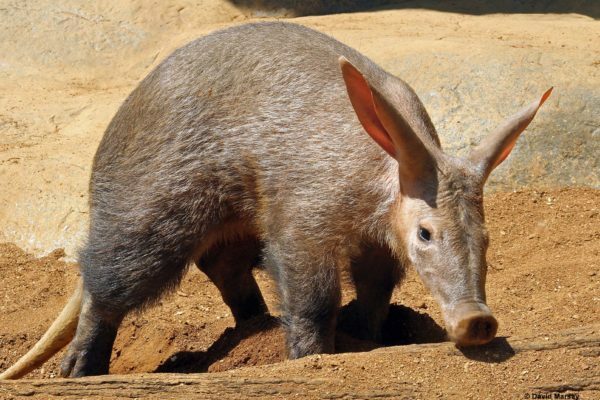 As aardvarks are nocturnal you may not be able to spot them outside, so make sure to step inside the burrow to see the group curled up inside! The largest recorded African elephant weighed an impressive ten tonnes. The African elephant’s brain is bigger than that of any other animal with the skull making up 25% of its body weight. 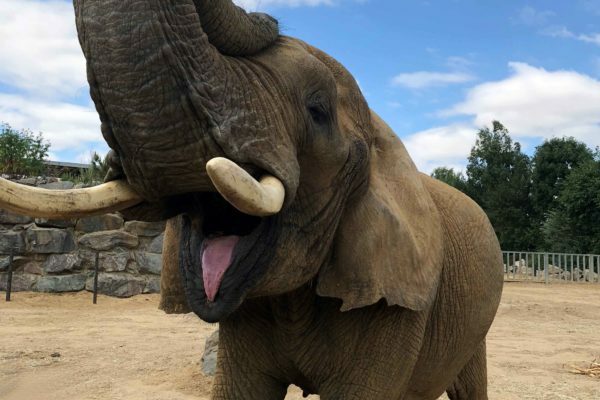 Don't miss the daily feed times where you can get the unique opportunity to hand feed the elephants yourself! 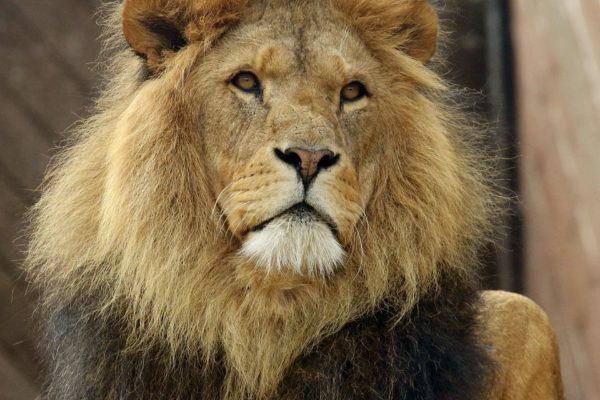 The lion has been characterised as fearsome, courageous and majestic, the lion’s strength and ferocity has earned it the title of ‘King of the Beasts’ in many cultures. 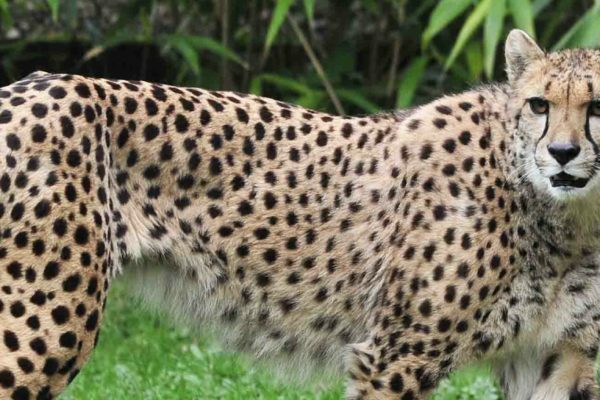 The cheetah is the fastest land mammal on the planet, reaching speeds of up to 87 kilometres per hour. Why not learn more about the cheetahs at their encounter? 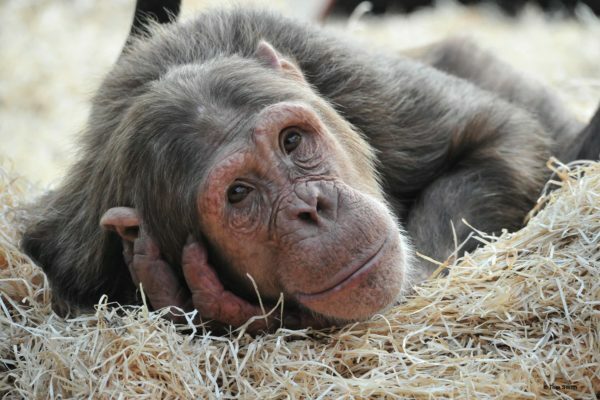 The chimpanzee is one of our closet living relatives and is estimated to share 98 percent of our genes. Vulnerable and listed on Appendix I of CITES. 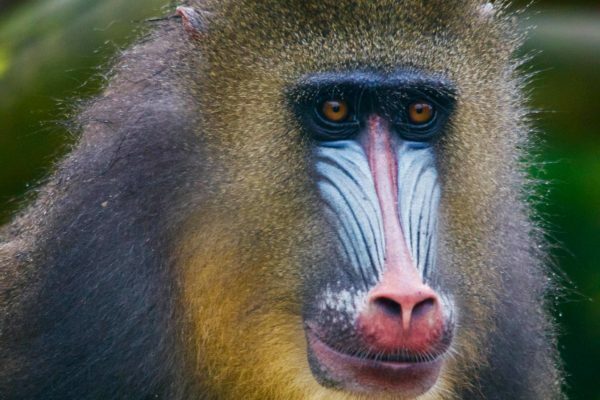 The mandrill is not only the largest monkey in the world, but it is also one of the most distinctive, with their extremely striking face, with a red stripe down the nose and blue flanges framing it. Our mandrill troop at Colchester Zoo have a very successful breeding record, with offspring born yearly. Senegal, east to Ethiopia and south to Tanzania. 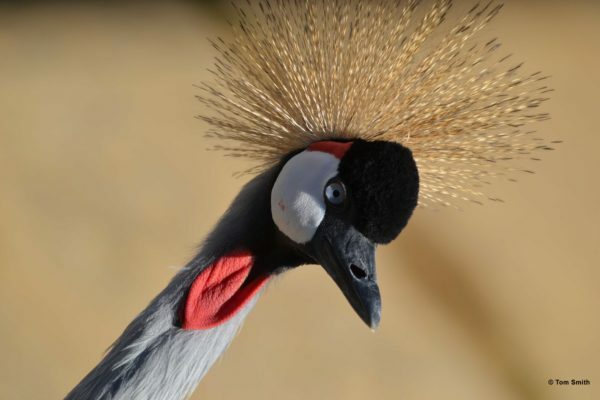 Least concern and listed on Appendix II of CITES. 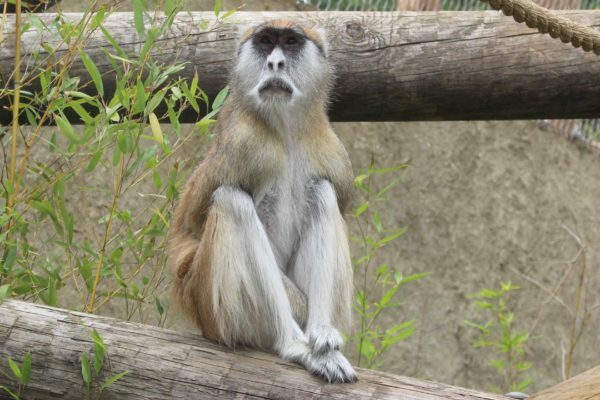 Patas monkeys are one of the fastest primates in the world and can run at speeds of 50 kmph. West and central sub Saharan Africa to northern South Africa and Madagascar. 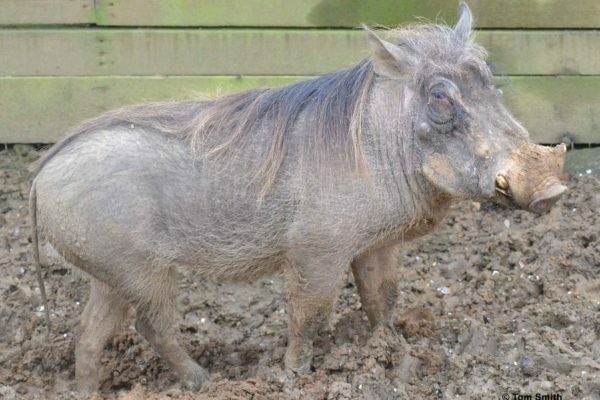 We have a group of red river hogs here at Colchester Zoo. 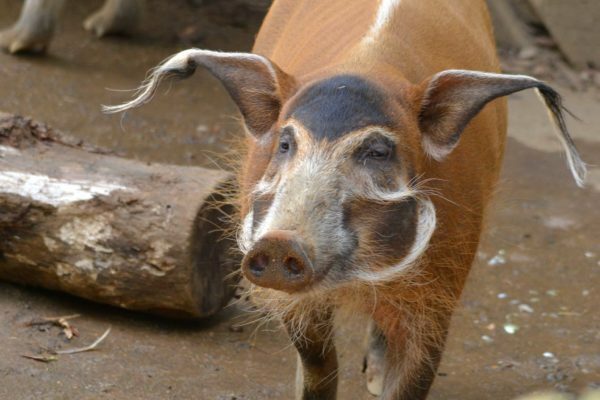 These wild species of pig are also known as bushpigs. They have a bristly coat, which can vary from reddish to greyish-brown, and they have a white mane running down their backs. 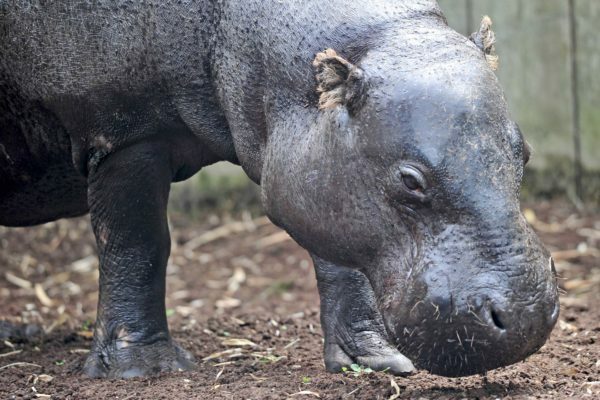 They also have 2 overgrown teeth which protrude out of their mouths as tusks. Red-bellied lemurs are cathemeral, which means they may be active during the day or night. 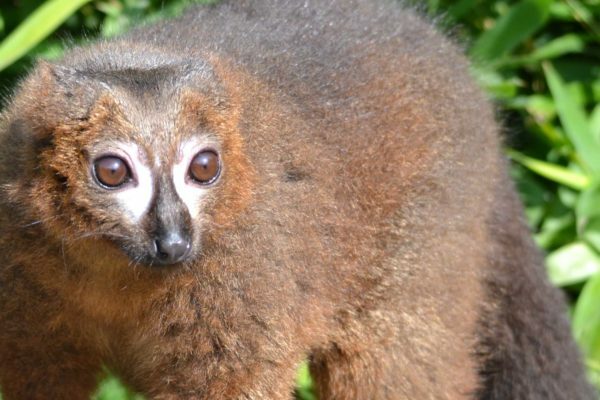 Our small group of red-bellied Lemurs can be seen in the Lost Madagascar exhibit, foraging for food and sunbathing! 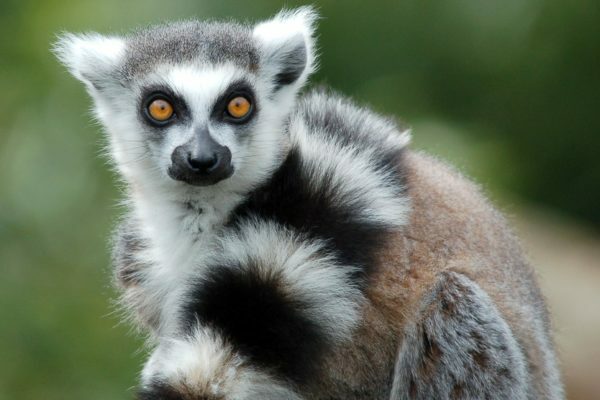 We have a successful breeding group of Ring-tailed Lemurs that are part of an EEP breeding programme. Male ring-tailed lemurs compete for females via ‘stink fights’, smearing scent on their tails and wafting the smell towards their opponent. 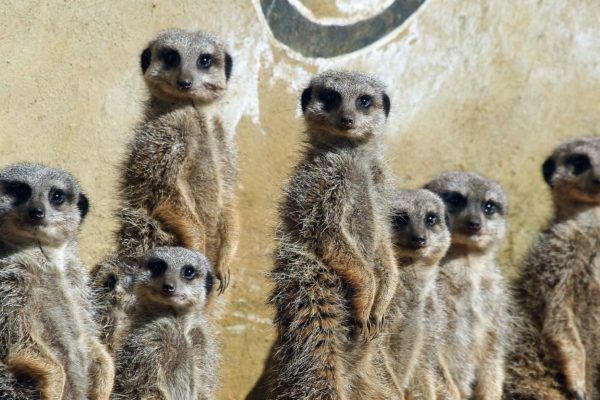 Meerkats communicate by using a variety of calls to signal certain situations such as being lost, alarm calls, pup feeding calls, guarding calls and foraging calls. 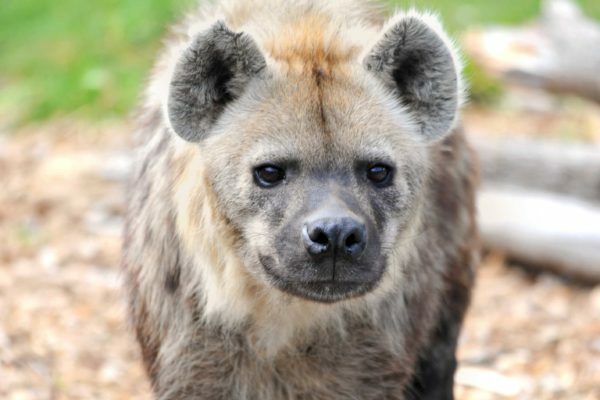 We have had previous successful births with our spotted hyena and hope to be able to help maintain the population of this species within the captive environment. Central, eastern and southern Africa, south of the Sahara desert. We have a group of warthogs living within their enclosure at Edge of Africa. The warthog gets its name from the warts on its face and these warts help to protect the face and eyes from an opponent's tusks when fighting. Sign up to our newsletter for all the latest deals, news and more!